In-season produce you must try! The summer bounty is here! Fresh, sweet, and scrumptious produce has hit the grocery store shelves and farm stands. Don’t just cook the same old boring things--liven it up with these colors of summer! Local strawberries are petite powerhouses packed with a punch of flavor. Do yourself and your family a favor and pick some up the next time you see them at a farmstand or farmer’s market. But act fast - supplies don’t last long and their season is dwindling! 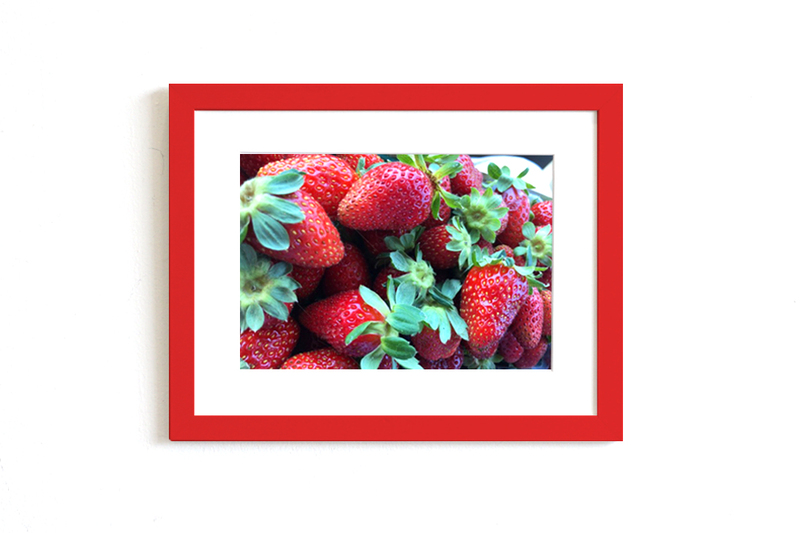 Match strawberry red with a bright red Stockholm (11" x 14", $39) frame! Nothing says summer quite like biting into a ripe peach and feeling the juices stream down your chin. But have you ever grilled a peach? It’s next level good. Show off your cooking chops and impress your guests at your next BBQ by adding some grill marks to a peach half. It’s a sure fire way to snag that return invite. 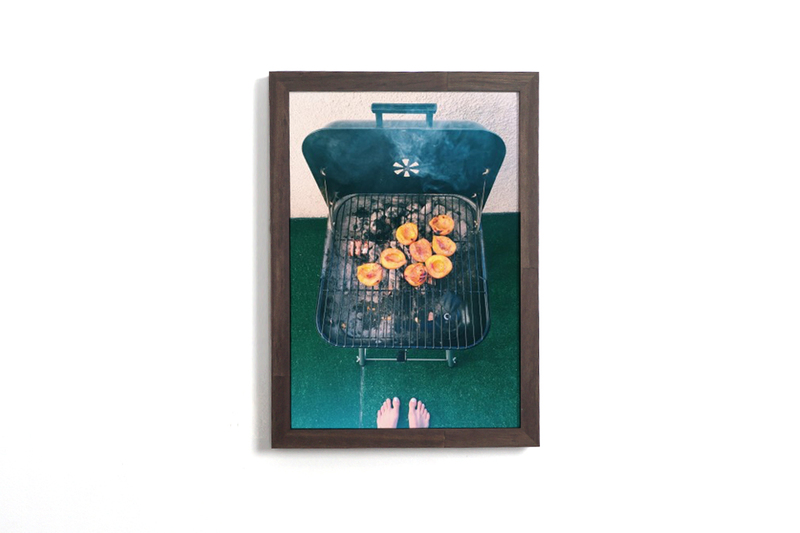 The dark wood of our Homage (10" x 14", $49) frame complements burnt charcoal like a champ! It’s just a fact that every great summer meal includes corn. Be sure to buy it the day you’re gonna eat it and peel it just before cooking. Eating corn the day it’s picked means the flavor is at its yummiest, and keeping the husk until the last minute makes sure the kernels are plump and luscious. Wondering the difference between bicolor, tri-color, white, and yellow corn? These days, they’re all sweet, so you can’t go wrong with whatever is local and readily available. 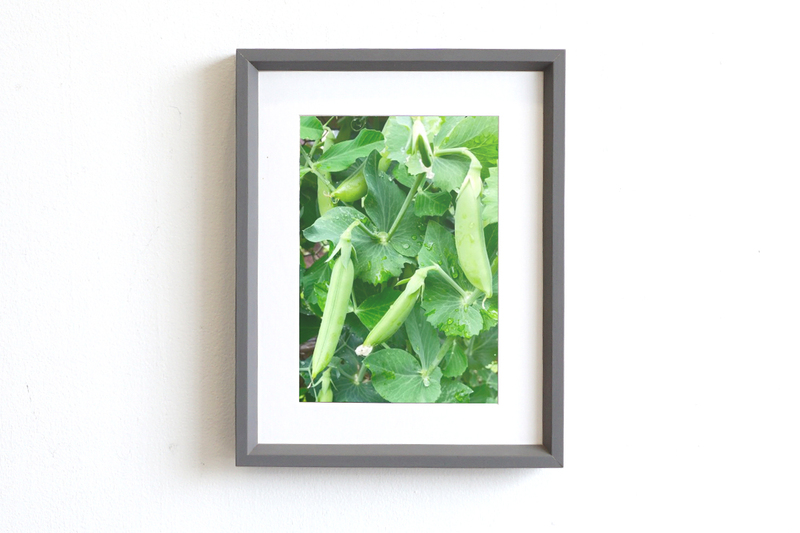 Bright food shines best in a white Sojourn (11" x 13", $44) frame! ‘Tis the season to say no to canned artichokes and yes to the fresh ones! There’s nothing quite like the natural sweetness of a fresh artichoke: leaves and hearts. You might even get the kids on board if you bring home baby artichokes or purple ones. 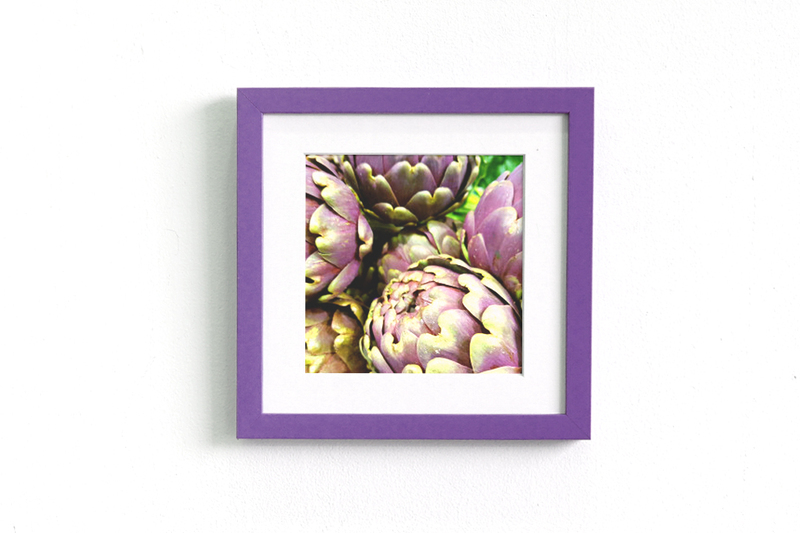 Frame photos with rich violet hues in our Jaunt (11" x 11", $39) lavender frame. Ok, so maybe sugar snap peas aren’t exactly a *summer* produce item, but they deserve to be recognized on this list of fabulous and colorful fruits and vegetables. Plump, sweet, and crunchy, they’re easy to enjoy on the go or when thrown into any dish. Throw your SNAPS into our snazzy Fleet (11" x 14", $49) frame! Don’t be blue, August means blueberry season! Blueberries are off the charts healthy, and taste better than candy which means you can eat them guilt-free and full of happiness! Pro-tip: freeze some blueberries and use them as ice cubes in your lemonade, iced tea, or other summer drink to simultaneously cooling it down while adding flavor! 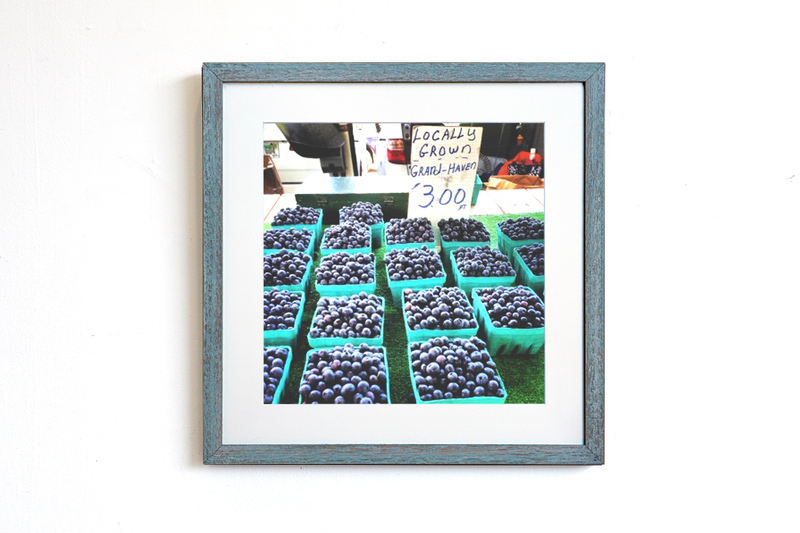 Freeze your blues in our cheerful Carolina (13" x 13", $49) rustic frame. Cherry season is upon us, so get ready for all things cherry: cherry pie, cherries in salads, cherry smoothies, cherry anything! You can even see if you can go cherry picking locally--now that’s a fun family activity. Cherries are one of nature's most beautiful round creations. 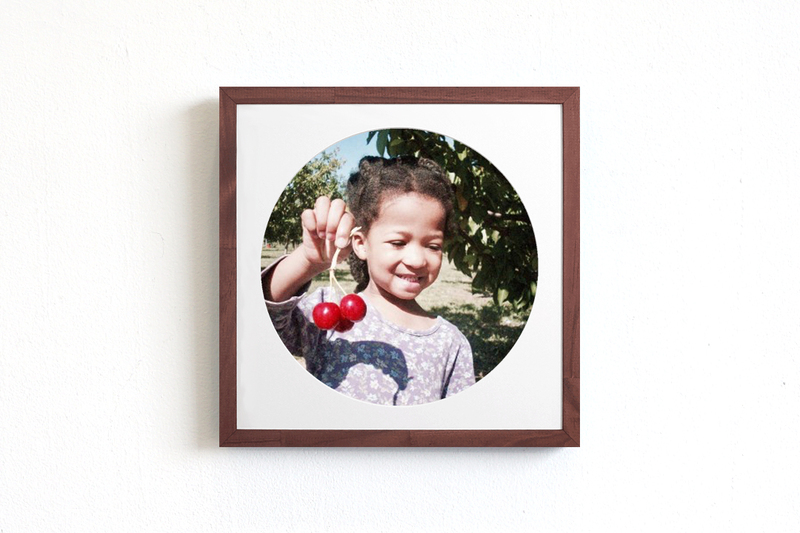 Circle your beautiful images with a round mat cut in our Charlotte (15" x 15", $69) frame! With food photography all the rage, why not make something that’s beautiful and enjoyable? Here are some of our favorite (frame-worthy) summer dishes! You can never have enough sangria in the summer, and the more fresh fruit, the better! Skip the boring, typical grapes and apples for a summer selection of peaches, raspberries, cherries and other berries. Remember, freezing the blueberries can do double duty: flavor and freeze (aka instead of ice cubes). How about a strawberry lemon white sangria for the tart lovers out there? Or if you’re feeling more tropical, kiwi, strawberry, orange, and pineapple sangria is a good combo. Also, rosé is always a good wine for sangria in the summer. The possibilities are endless. 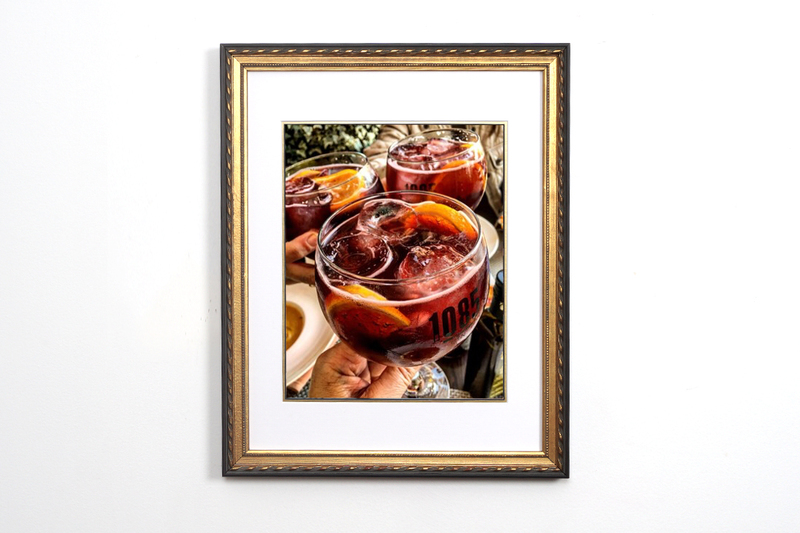 A swanky drink looks great in a sumptuous Abbey (12" x 15", $69) gold trimmed frame! With so many great produce options in season, why waste valuable salad real estate on lettuce? Opt for a watermelon goat cheese salad with a balsamic glaze artfully drizzled and a sprig of mint, or an Israeli salad made of vibrant heirloom tomatoes, cucumbers, feta, and vinaigrette. 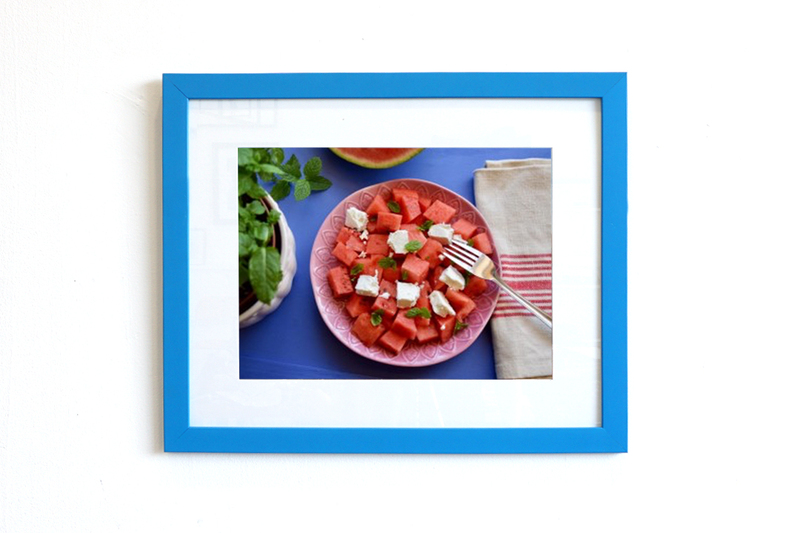 Greek Salad on a frame that reminds you of a Greek island, our Kiwi (19" x 23", $79) frame. Pesto is surprisingly easy to make if you’ve got a blender, and it's a great dish for impressing your guests. It can be as simple as basil, oil, garlic and cheese. Plus once you’ve got the hang of it, you can start making substitutions or additions. Kale walnut pesto anyone? Toss it over some fresh zoodles (zucchini noodles) for a light, summery, healthy, and eye-catching dish. 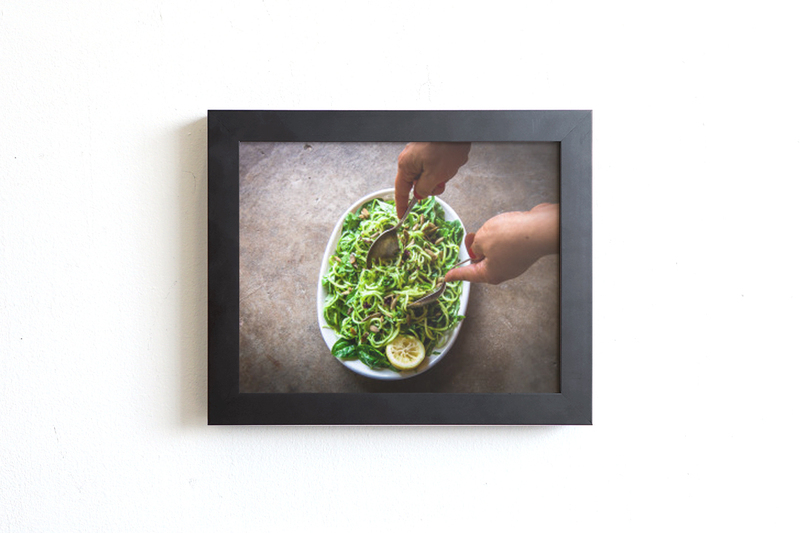 A complex image with lots of tangly noodles looks its best when contrasted against a simple border, like our black Ballast (8" x 10", $29) frame. 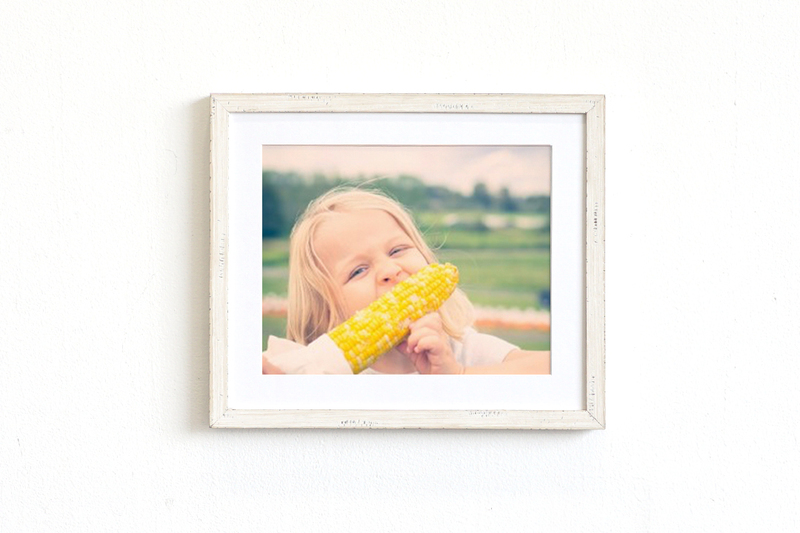 Share your framed food photos with us on Instagram!